According to information coming from Herodotus’ fourth book of the Histories [entitled Melpomene], the Black Sea was home to several emporia, which is the precise word the historian uses to define these settlements… There are also more scattered references to emporia in the other eight books of Herodotus’ work. These are emporia located outside the Black Sea, and are situated in the Mediterranean. Of all these, the case of Naucratis causes puzzlement: the historian refers to it using both the terms emporion and polis (that is, city). Many studies have dealt with this issue, but unfortunately we still cannot determine the early nature of this settlement with certainty. The term usually understood as the opposite of emporion is apoikia (that is, colony), which is considered as a complete form of settlement in the model of the ancient Greek cities, i.e. a settlement featuring a distinct form of political and social organization. A colony was a settlement obviously established in the context of a predetermined plan of action and was carried out under the auspices of a god (or gods) with every formality on the part of the metropolis, possessing an agricultural hinterland and its own coinage… However, in some cases, the emporion may be characterized as a proto-polis or a proto-settlement, in the sense that it can act as the early stage in the establishment of a colony or a city. Egypt with Alexandria, Naucratis, Avaris, Sais, Pelusium, Memphis and Thebes mentioned here. (a) The story of Atlantis is most probably connected with the Sea Peoples’ raids and the consequent Bronze Age collapse. This should have been the “cataclysm” that destroyed Hellas, while Egypt barely survived… (See mainly Chronicle 5). Avaris (Αὔαρις, today’s Tell el-Dab’a), the capital of Egypt under the Canaanite Hyksos, was also located in the Nile delta in the northeastern region. Its position at the hub of Egypt’s emporia made it a major administrative and commercial centre. Excavations have shown that there was a busy harbour catering to over 300 ships during a trading season. Artifacts inside the precinct of the palace, possibly a temple, have produced goods from all over the Aegean world. Most impressively, there were even Minoan-like wall paintings similar to those found in Crete at the Palace of Knossos. It is speculated that there was close contact with the rulers of Avaris, whoever they were, and the large building representing the frescoes allowed the Minoans to have a ritual life in Egypt. French archaeologist Yves Duhoux also proposed the existence of a Minoan colony on an island in the Nile delta. Outside of the Aegean, only three sites have an indisputable record of Minoan civilization, one being Avaris in Lower Egypt, the others Kabri and Alalakh in the Levant. Kabri, in Palestine near the Lebanese border, is notable for its Minoan style wall paintings. In the summer of 2009, more Aegean style frescoes were found at the site. Apparently, the Canaanite rulers of the city wished to associate with Mediterranean culture and not adopt Syrian and Mesopotamian styles of art like other cities in Canaan did. Alalakh was a late Bronze Age city-state in the area where Seleucid Antioch was to be founded at the end of the 4th century BCE. It was occupied from before 2000 BCE, when the first palace was built, and likely destroyed in the 12th century by the Sea Peoples, as were many other towns of coastal Anatolia and the Levant. The city was never reoccupied, the nearby port of Al-Mina taking its place during the Iron Age. Al-Mina (“The Port” in Arabic) is the name given by archaeologist Leonard Woolley to this ancient trading post in the estuary of the Orontes. According to Woolley, it was an early Hellenic trading colony, founded a little before 800 BCE in direct competition with the Phoenicians to the south. Large amounts of Greek pottery established its early Euboean connections, while the Syrian and Phoenician ware reflected a cultural mix typical of an emporium. The controversy whether Al-Mina is to be regarded as a native Syrian site, with local architecture and pots and a Hellenic presence, or as a Greek trading post, has not been resolved. Al-Mina served as an entrepôt for cultural influences that accompanied trade with Urartu and Assyria through the shortest caravan route. Pottery recovered from later levels after 700 BCE shows that a Hellenic presence endured through the 4th century BCE with pottery imported from Miletus and deftly imitated locally, apparently by Greek potters. Al-Mina is a key to understanding the role of early Hellenes in the East at the outset of the Orientalizing period of Greek cultural history. Robin Lane Fox has made a case for the Hellenic name of the site to have been Potamoi Karon mentioned by Diodorus Siculus; he suggestively linked it to karu (“trading post”) in an Assyrian inscription, which would give “Rivers of Emporia”. Woolley identified Al-Mina with Herodotus’ and Strabo’s Posideion, but more recent scholarship places the latter at Ras al-Bassit, located 53 kilometres north of Latakia (the Hellenistic Laodicea) on the Mediterranean Sea. Excavations revealed a small settlement back to the late Bronze Age, when it may have functioned as an outpost of Ugarit to the south. 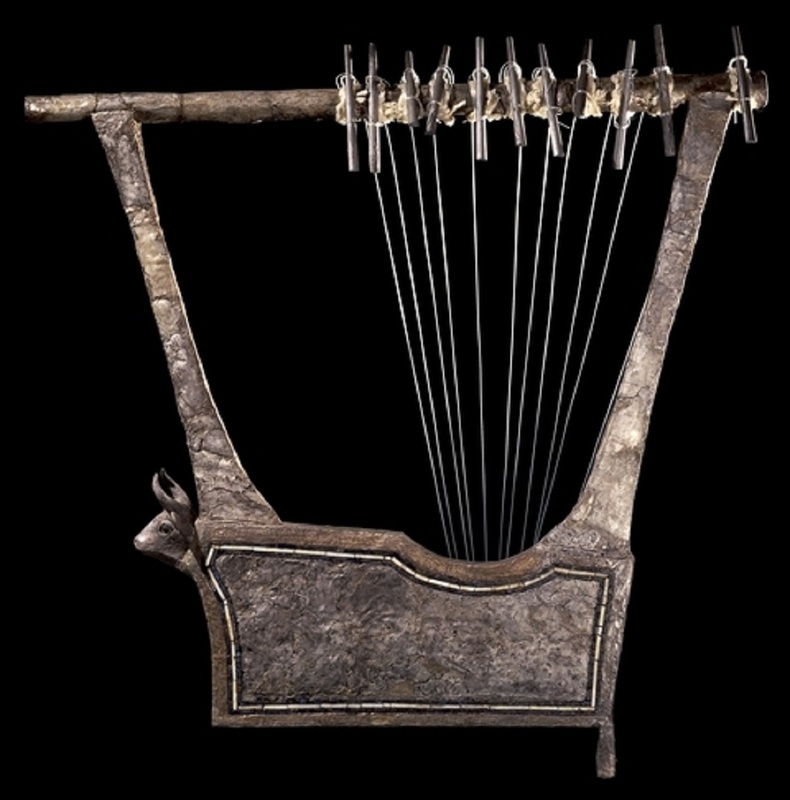 Unlike Ugarit, Bassit survived to the passage of the Sea Peoples and into the Iron Age. It had strong links with Phoenicia and Cyprus, and a Greek presence was attested from the 7th century BCE. Posideion expanded and its acropolis was fortified in the Hellenistic period. One of the two figurines Ram in a Thicket. The excavation at Ur was a joint venture of the British Museum and the University of Pennsylvania sharing the booty! Having already in mind an elaborate scenario, and possibly a hidden ambition to turn Arthur Evans’ work in Crete upside down, Woolley led himself to erroneous conclusions. If Ur had been his Austerlitz, Alalakh turned out to be his Waterloo! His failure to interpret his findings correctly should be taught in every School of Archaeology. The uniqueness and seeming suddenness of the emergence of the Cretan palace system in the Aegean has often been explained by connections with and influences from the older advanced civilizations of the ancient Near East. In Alalakh… Woolley thought to have found what he had looked for: in Yarim-Lim’s palace he recognized “unmistakable connections” with Minoan Crete. Similar building techniques… as well as frescoes “identical in colouring, technique and style” at Alalakh and Knossos led him to the conclusion that “there can be no doubt but that Crete owes the best of its architecture, and its frescoes, to the Asiatic mainland” and that “we are bound to believe that trained experts, members of the Architects’ and Painters’ Guilds, were invited to travel overseas from Asia (possibly from Alalakh) to build and decorate the palaces of the Cretan rulers”. Woolley’s main argument for this theory, which has been accepted by eminent scholars[! ],(c) was that “Yarim-Lim’s palace antedates by more than a century the Cretan examples in the same style”… However, after a long debate on “Alalakh and Chronology”, Woolley’s date [“between circa 1780 and 1730 BC”] proved to be too high. Yarim-Lim of Alalakh was not – as Woolley had thought – Yarim-Lim I of Yamhad, the contemporary of the great Hammurapi of Babylon, but a younger brother of King Abban of Yamhad who gave Alalakh to him as an appanage principality…(d) The dates recently proposed by different scholars lie between ca. 1650 and 1575 BC. In regard to architecture… the evidence is far from substantiating Woolley’s theory of Near Eastern architects working in Crete… The orthostates of Alalakh are ca. 300 years later than the orthostates of the first phase of the Old Palace at Phaistos… Fragments of wall paintings from Yarim-Lim’s palace show characteristic Minoan motifs which appear contemporary or even earlier in Crete. Moreover, the sense of movement detectable in the wall-painting fragments from Yarim-Lim’s palace is characteristically Minoan and in opposition to Near Eastern tradition. Woolley’s strongest argument for a direct connection between the Alalakh paintings and those in Crete was that they both were executed in true fresco painting on wet lime plaster. But it is exactly this fact which definitely disproves Woolley’s theory of the Near Eastern ancestry of Cretan fresco painting. Until most recently the Alalakh frescos formed the only known example of true fresco painting on the ancient Near East. In Crete, true fresco painting is known at least from ca. 1900 BC on. Thus true fresco painting apparently has been first invented on Crete, probably because it was suitable to the temperament of the Minoan artists. Thus, technique, style and iconography of the fresco fragments from the Yarim-Lim palace at Alalakh indicate that their resemblances to the Cretan wall-paintings worked in the reverse direction as that originally thought by Woolley. There is much evidence that Cretan objects of art were highly valued in the ancient Near East. In the Mari tablets Cretan imports are mentioned… The prestige character of the Cretan objects in the Mari texts is indicated by the fact that two of them were presented by King Zimri-Lim of Mari to other Mesopotamian Kings. As finds of Kamares pottery at Ugarit, Qatna, Byblos and Hazor demonstrate, this outstanding pottery was highly esteemed in the Levant. Thus, at least from the 19th century BC on, Crete within its relations to the Levant was not only the receiver but developed into an equal partner producing works of art for which there was a great demand in the Near East. (e) These Cretan works of art arrived by some kind of exchange or trade in the Levant. But, as Woolley has stated, “one cannot export a palace on board of a ship, nor is the ‘art and Mystery’ of fresco-working a form of merchandise”. (f) Do we therefore have to reconstruct just the reverse scenario as that suggested by Woolley, i.e. Cretan artisans travelling to Alalakh for painting the frescoes there? (f) I used a similar argument to show the necessity of Hellenic presence in Iberia: “What the Phoenician ships could not transport and, therefore, made the Greek presence absolutely necessary in Iberia, was Hellenic culture, art, ideas, architectural models, burial habits, and so on” (see Chronicle 7). (g) Greater Canaan: “the area between the Amuq plain [where Antioch was later built] to the north and the deserts to the south and to the east for the middle and late Bronze Age… appears to form a largely uniform civilization with regional variations.” (Ruth Amiran). 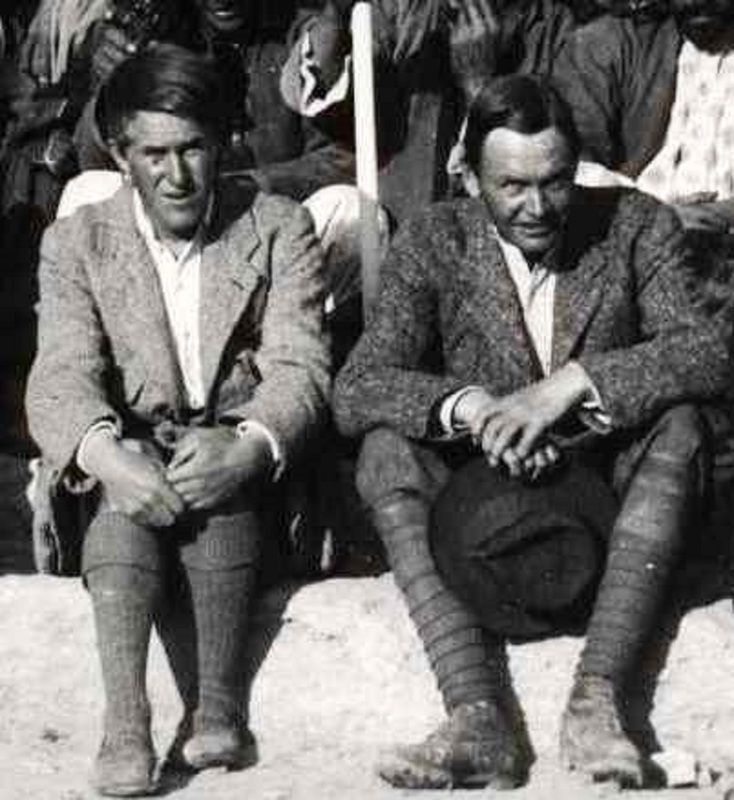 The excavations at Kabri were directed by Aharon Kempinski and Wolf-Dietrich Niemeier. We have evidence for exchange of information on the equipment of the palaces within the ancient Near East (to which Minoan Crete belonged in a certain sense as a westernmost member). That Cretans actually travelled to the Levantine coast is proved by a tablet from the Mari archives mentioning a Cretan who purchases tin at Ugarit from agents of the Mari palace. A tale in the mythological poetry of Ugarit is of highest interest in our context. In it the goddess Anat is sending the divine messenger over the sea to the god of handicrafts, Kothar wa-Khasis, who is brought from his throne in Kptr (almost unanimously identified as Caphtor = Crete)(i) to build a splendid palace for god Baal and to furnish it with precious works of art. As Arvid Schou Kapelrud has stated, Kothar is “the master-builder and the master-smith as he is found in the Near Eastern courts of this time, a highly skilled specialist”. 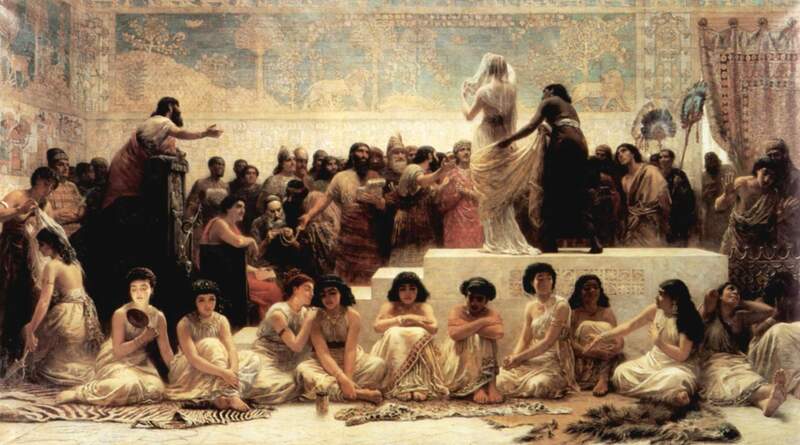 In Canaanite mythology the god of handicrafts was called from Crete to furnish the palaces of the deities with precious works of art; in reality the rulers of Tel Kabri (Rehov) and Alalakh (and other cities, possibly Qatna) asked the rulers of Crete for sending artisans to decorate their palaces with fresco painting. As has been demonstrated by Carlo Zaccagnini, the sending of specialized workers is well-attested in the framework of the diplomatic relations between the rulers in the ancient Near East, their transfers are inserted into the dynamics and formal apparatus of the practice of gift-exchange. (i) “KPTR” may be identified with “Caphtor”; but the latter’s equation with Crete is the least probable scenario. Biblical Caphtor may refer to: a) Pelusium in the Nile Delta; b) Cilicia; c) Cyprus; and d) Crete (see Chronicle 5). Egypt is also indicated here because in all references to Kothar, except the above-mentioned poetic tale, his abode is identified as “HKPT”, read perhaps as “Hikaptah”, or “House of the ka (soul) of Ptah”, that is, Memphis. The Hellenes pronounced this Hikaptah as Aegyptos, hence the name of the country in many languages. After the discoveries in Alalakh and Kabri, the Minoan frescoes in Avaris excavated by Manfred Bietak “instantly created much sensation, since among the scenes depicted on them are spectacular representations of bull leaping so closely identified with Minoan cult and culture”, Wolf-Dietrich and Barbara Niemeier commented in another paper on Minoan Frescoes in the Eastern Mediterranean. Even a pharaoh with a fleet of his own would surely prefer to have the far more experienced Cretan navy by his side than against him allied with the Hyksos! The Avaris paintings indicate an involvement of Egypt in international relations and cultural exchanges with the eastern Mediterranean either through exchange of gifts or even marriage. They additionally point to Minoan authority as being involved in Egyptian affairs possibly because Crete had a strong naval force to offer the pharaoh, and also to Avaris as a place where these cultural exchanges took place, meaning the city was incredibly important to Egypt. 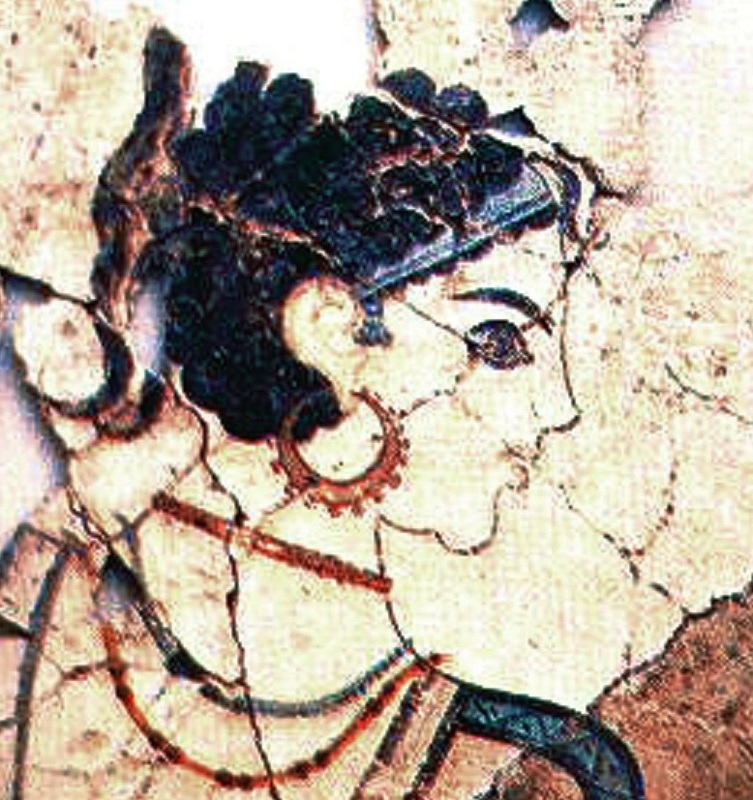 The marriage of a Minoan princess to an Egyptian pharaoh may be one possible scenario. Bietak has suggested that the Avaris frescoes were painted by Minoan artists belonging to the entourage of a Knossian princess married to the pharaoh, whom he first identified as a Hyksos ruler, then as Ahmose, and much later as Thutmose III. Indeed, who was the Cretan girl’s groom? The Thera eruption around 1600 BCE happened in the middle of the Hyksos period (1650–1550). Thus, most probably a royal wedding in the final years of the Hyksos in Egypt must be ruled out. There follows Ahmose with his New Kingdom, when the Egyptians considered the Aegean to be part of their “empire”. The term must not be understood literally, for in the land of the Nile they misinterpreted even the gifts given to the pharaohs: “The Egyptians, with their characteristic egocentric sense of superiority, would have presented such gifts as tribute” (A. R. Schulman). At any rate, “Ahmose fits particularly well into the picture of Minoan connections”. Thutmose could well be the groom, as well. Besides, we know that he had three foreign wives: Menwi, Merti, and Menhet. However, there was a problem: one more dynastic change that took place during his reign, in the middle of the 15th century BCE, not in Egypt but in Crete, when the Minoans were put under the yoke of their own “Hyksos” (foreign rulers), the Mycenaeans. Therefore, if there was a wedding, it should have happened in the beginning of Thutmose’s reign, when the real pharaoh was his stepmother, Hatshepsut. 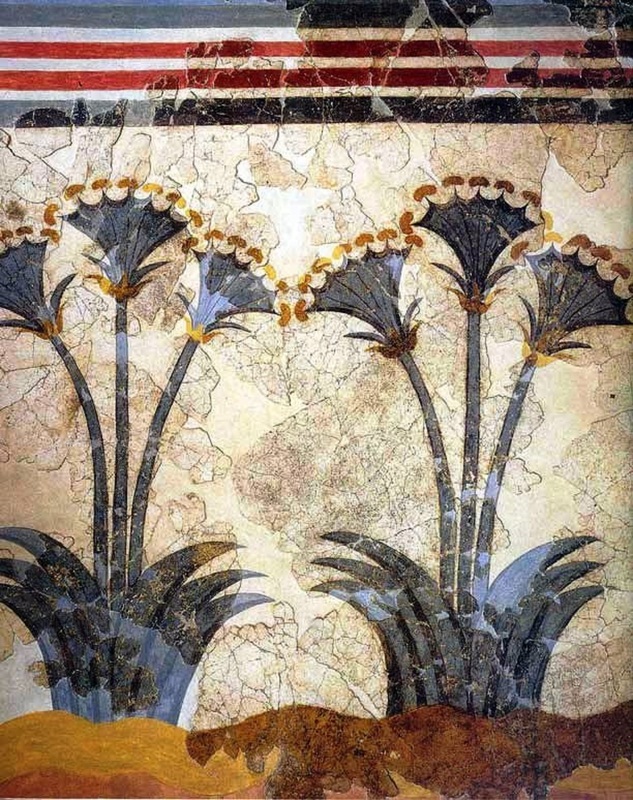 Whatever the motives, these unique wall paintings are of Minoan style, technique, and content. There is a long frieze of bull-leaping and grappling against a maze pattern. Marinatos has made the case that the rosette motif, a prominent feature of the Taureador paintings, reproduces the Knossian rosettes and that it is a distinct Minoan symbol. The frescoes also depict griffins, hunting scenes, felines chasing ungulates, several life-sized figures, and a white female wearing a skirt. Especially important are the emblems of the Minoan palace such as the half rosette frieze and the presence of big griffins which are the same size as the ones in the throne room at Knossos. The technique of the paintings is typically Aegean, while the style is very high quality and compares with some of the best paintings from Crete. According to Bietak, the use of specific Minoan royal motifs in a palace of Avaris indicates “an encounter on the highest level must have taken place between the courts of Knossos and Egypt,” while the large representation of the female in the skirt might suggest a political marriage between the pharaoh and a Minoan princess. The technique of using lime plaster in two layers with a highly polished surface, fresco in combination with stucco, all are techniques that are not Egyptian but are first seen in Minoan paintings. Also, the colours used by the artists are clearly Minoan. Using blue instead of grey e.g. is Minoan, with that colour convention being seen in Egypt later, and due to Aegean influences. Besides, there are no Egyptian hieroglyphs or emblems among any of the fragments discovered. The composition of the paintings and motifs also fit in perfectly with those of the Aegean world. Thus the overwhelming evidence seems to point in the direction of Minoan artists having been at work in Avaris. As it turned out the wall paintings in Avaris, Alalakh, Kabri, possibly Qatna (17th-16th centuries BCE), were not the older ones. Located in Mesopotamia, far from the sea, Mari (modern Tell Hariri) was a Sumerian and Amorite city on the Euphrates. It flourished from 2900 until 1759 BCE, when it was sacked by Hammurabi, despite the gifts the king Zimri-Lim had given him. More important was Mari’s strategic position as a relay point between lower Mesopotamia and northern Syria. The city came to control the trade lanes between different regions such as Iran, Mesopotamia, and Anatolia. The royal palace contained over 300 rooms and was possibly the largest of its time. More than 25,000 tablets were recovered there “bringing about a complete revision of the historical dating of the ancient Near East and providing more than 500 new place names, enough to redraw the geographical map of the ancient world,” as Parrot noted. Qatna (modern Tell el-Mishrife), 18 km northeast of Homs, was also one of the largest Bronze Age towns in Syria. 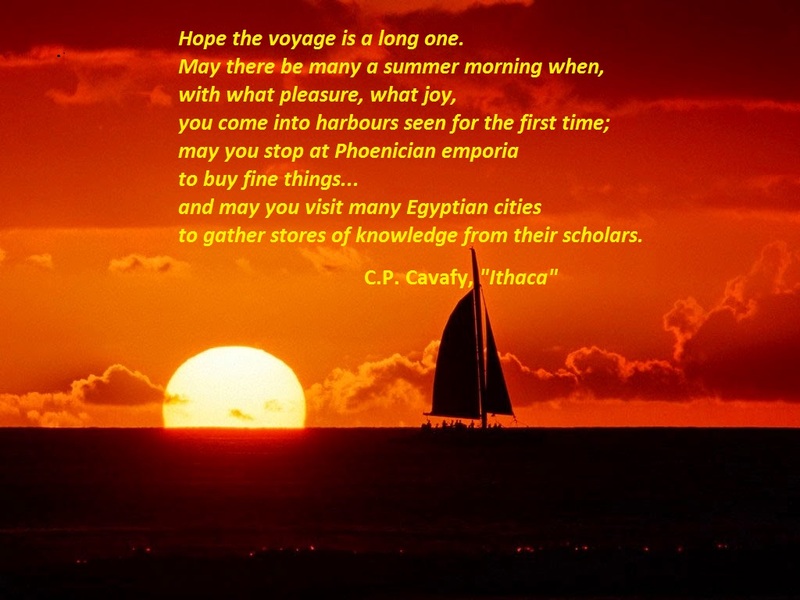 In the 2nd Millennium trade routes developed connecting Mesopotamia with Cyprus, Crete and Egypt. Qatna is mentioned in the tin trade, which went from Mari via Qatna to the Mediterranean; Cypriote copper was transported in the other direction; their alloy, bronze, was most valuable especially during the Bronze Age. As for the ethnic composition of the “Minoan” workshops, there are various possibilities: the frescoes were painted a) by travelling Aegean artisans; b) under the supervision of Aegean artists with the assistance of Levantine painters trained by them; c) by Levantine pupils of Aegean masters. The idea of mixed workshops seems more appealing, probable and realistic. Decorating huge palaces was a great undertaking. However, it would seem unthinkable to imagine Cretan ships full of artists travelling around the Mediterranean for this task. The artistic teams should have been rather small necessarily working with local apprentices. Whatever happened to the Avaris wall paintings? One group of them had fallen off the wall of a doorway, and the other group of fragments was found in dumps deposited by the north-east palace. The frescoes seem to have been removed during the later Thutmosid period – when there was no Minoan Crete anymore. Without Minoan Crete there was no room for Minoan art. The Minoan workshops were still busy, of course; but the artistic masters worked for the new political masters, the Mycenaeans; there were no Greek artists at that time to compete with them. However, their new works of art are not typified as “Minoan” anymore; they are called “Mycenaean”, sometimes accompanied with a footnote that they were made by Cretan artistic workshops. Would anyone ever think to describe as “Cretan” the masterpieces of another great Cretan master who lived more than three millennia later, namely Doménicos Theotocópoulos, the famous El Greco? >> BACK TO THE… “OBSIDIAN AGE”!